The Edna Valley American Viticultural Area—part of the San Luis Obispo County wine region—is often compared to Italy’s Tuscany Region in central Italy for its beauty. Spread across just 22,000 acres, nearly 30 wineries call this home. With a continuous stream of coastal marine air, Edna Valley’s cool climate is perfect for producing chardonnay. 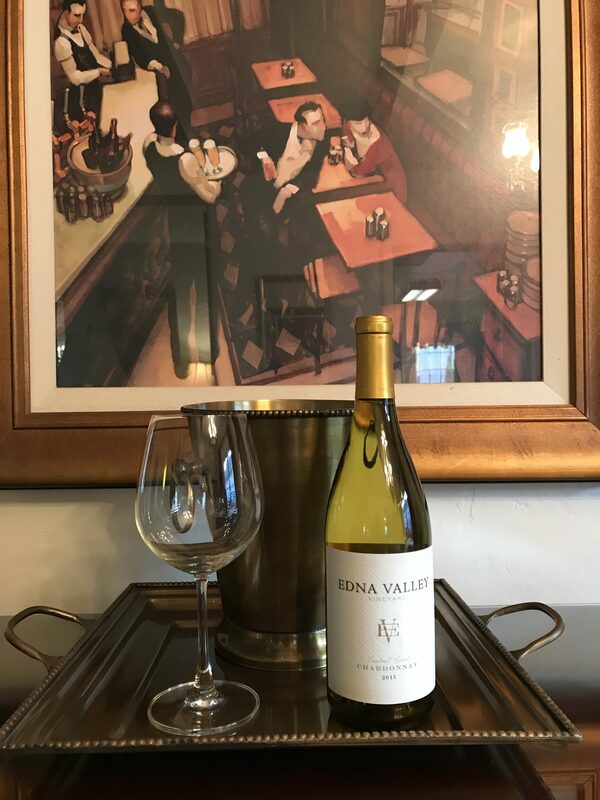 Today, I am tasting the 2015 Central Coast Chardonnay from Edna Valley Vineyard, one of the area’s best-known vintners. The bouquet displays aromas of soft peaches and quince. I taste butterscotch, so often found in California’s Central Coast chardonnays, and clove flavors. This is not a big wine. It’s light-bodied but elegant with bright acidity and a slight bite in the finish. The alcohol is 13% in volume. The Edna Valley Vineyards 2015 Central Coast Chardonnay is not a high end wine like their Heritage Chardonnay, Reserve Chardonnay, or the Chamisal Chardonnay that I previously reviewed. But, it does make the perfect weeknight wine and at $10 a bottle, that’s good enough for me. I picked up a bottle at our local Raley’s grocery store, but you can also purchase it on Wine.com for the same price. We paired this with a potato, pancetta flatbread with white sauce and found the combination to be delightful.